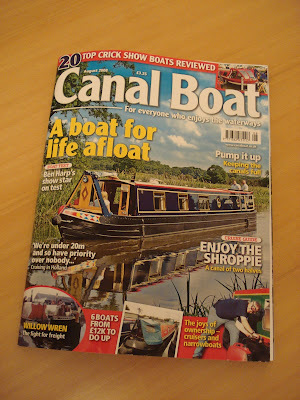 The arrival of the new issue of Canal Boat was met with more than the usual excitement here. 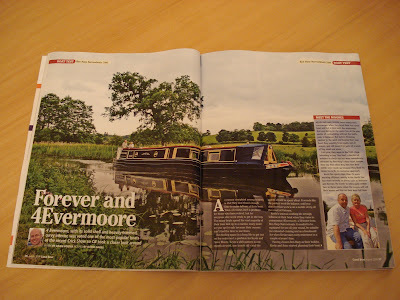 It contains my first fully-fledged magazine article, a boat test of 4Evermoore, one of the public's favourite boats from the Crick Show. It looks great, thanks to the excellent photographs by David Oakes, taken at the Tixall Wide.